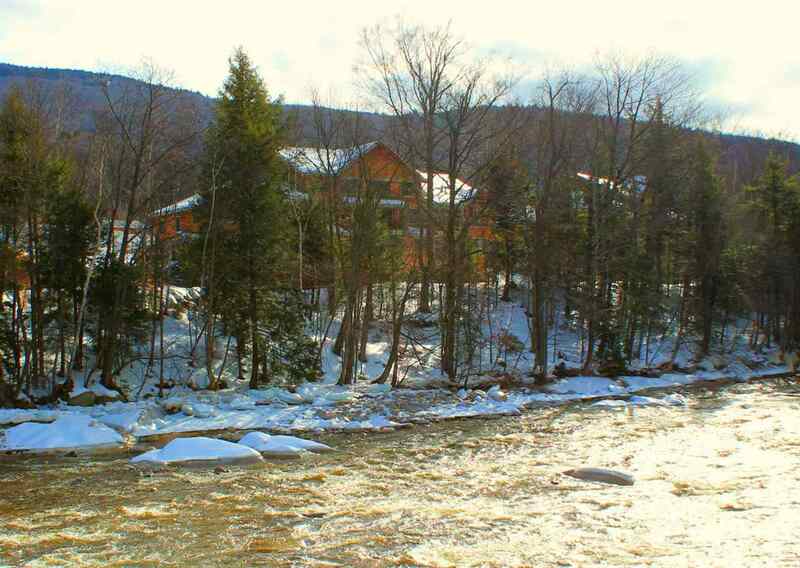 This condo offers a great Ski back location, as the closest building to Loon&apos;s escape rout ski trail, and has river frontage as well. This upstairs End unit features an abundant amount of windows and the vaulted ceiling overlooking the water. The condo has a one car garage, Gas heat central A/C beautiful fireplace, nice private deck, granite counter-tops stainless appliances, and is walking distance to a lively town town area with performing arts, a brew pub, and shopping...and ski slopes all a short stroll from your front door. Subdivision/Neighborhood: South Peak At Loon Mt.